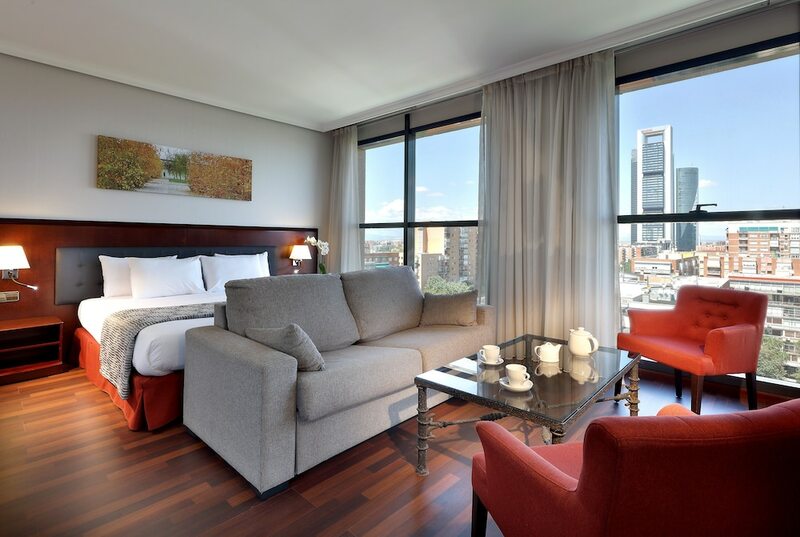 With a stay at Hotel Vía Castellana, you'll be centrally located in Madrid, steps from Paseo de la Castellana and 4 minutes by foot from Plaza de Castilla. This 4-star hotel is 2.6 mi (4.1 km) from Santiago Bernabeu Stadium and 4.5 mi (7.3 km) from IFEMA. Make yourself at home in one of the 228 air-conditioned rooms featuring minibars. Complimentary wireless Internet access is available to keep you connected. Conveniences include phones, as well as safes and desks. Featured amenities include a computer station, complimentary newspapers in the lobby, and dry cleaning/laundry services. Planning an event in Madrid? This hotel features 3315 square feet (308 square meters) of event facilities. Self parking (subject to charges) is available onsite.